I received these products for review from Peter Pauper Press. 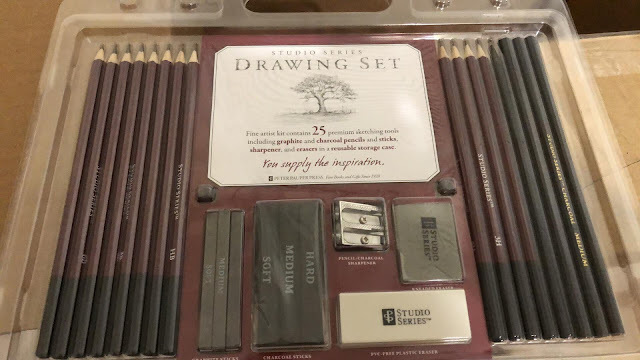 This is the Studio Series 26-Piece Sketch and Drawing Pencil Set. It has everything that a sketch artist needs if they prefer to draw in pencil. It's perfect for novices, dabblers and seasoned artists. It includes 26 essential sketching tools stored in a nice reusable case. There are 12 graphite pencils (5H-8B), 3 charcoal pencils (soft, medium and hard), a soft graphite sketching pencil, 3 charcoal sticks (soft, medium and hard), 3 graphite sticks (soft, medium and hard), a sharpener for the graphite pencils, a sharpener for the charcoal pencils, a kneaded eraser, a plastic eraser and a storage case. You can purchase this set for $14.99 HERE. This is the Studio Series Calligraphy Pen Set. 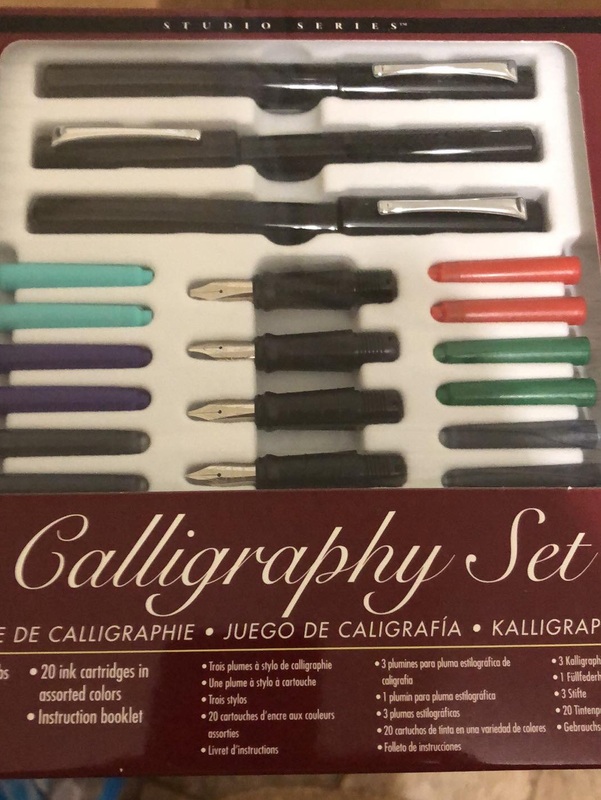 This is a great set to learn the art of Calligraphy with. It has everything you need to get started. The set includes 4 stainless steel pen nibs (1.1 mm, 1.5 mm, 1.9 mm and F-point), 3 black pens with chrome plated pocket clips, 20 ink cartridges (6 black, 6 blue, 2 red, 2 green, 2 purple and 2 turquoise), instruction booklet and a reusable storage tray. Please note that this set is not a toy. It contains very small parts that could pose a choking hazard for children. They recommend that it not be used by children under 12. You can purchase this for $24.99 HERE. 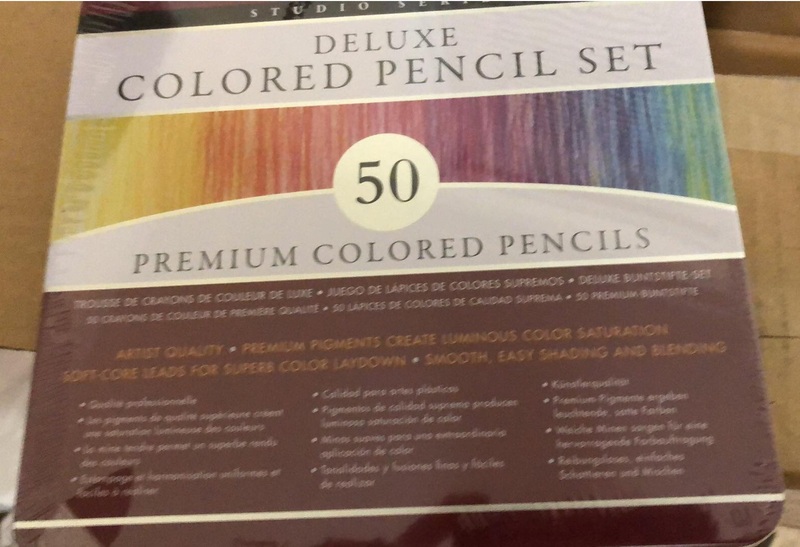 This is the Studio Series Deluxe Colored Pen Set (Set of 50). There are so many shades in the set! It's perfect for artists who prefer to have their drawings in color. There are 50 vibrant shades here. You get luminous color saturation from the high performing pigments. They have soft core leads for easy blending and shading. They are equally effective for bold pencil strokes or delicate shading. These pencils are perfect for both beginners and experienced artists. The set comes with a sturdy tin to safeguard your pencils. The tin has 2 tiers of pencils in flat trays for easy organization. You can purchase this set for $24.99 HERE. 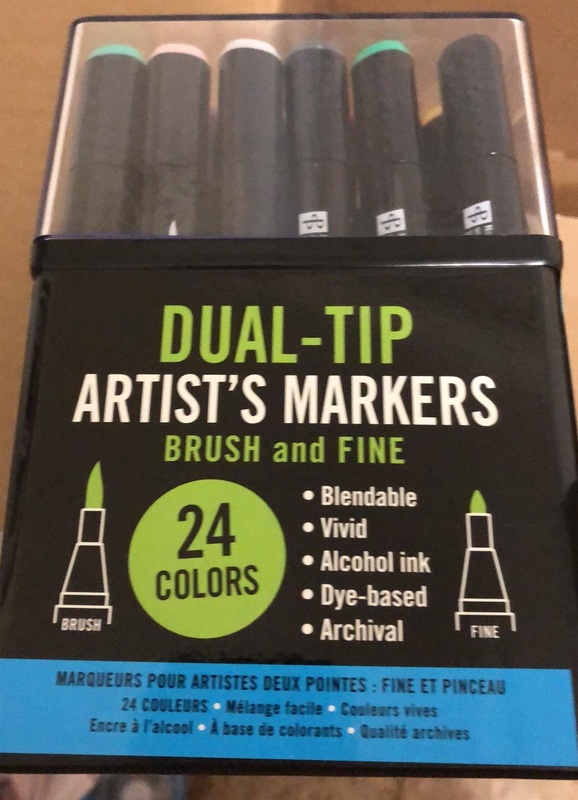 This is the Studio Series Professional Alcohol Dual Tip Artist's Markers. There is a nice assortment of 24 vivid color markers. They have dual tips...one end is a fine tip for detail work and the other is a brush for broad area coverage. They are blendable regardless of whether the ink is still wet or if it has dried. You get even saturation thanks to the optimal ink flow. These markers are great for illustrating, designing, sketching, crafting, coloring, cartooning and anything you want to do with them. They work on paper, fabric, glass, wood, metal and ceramics. The alcohol based ink is archival, dye based. They will not damage the surface of your paper. They will write on nearly any surface and are made to last! You can purchase thesefor $39.95 HERE. 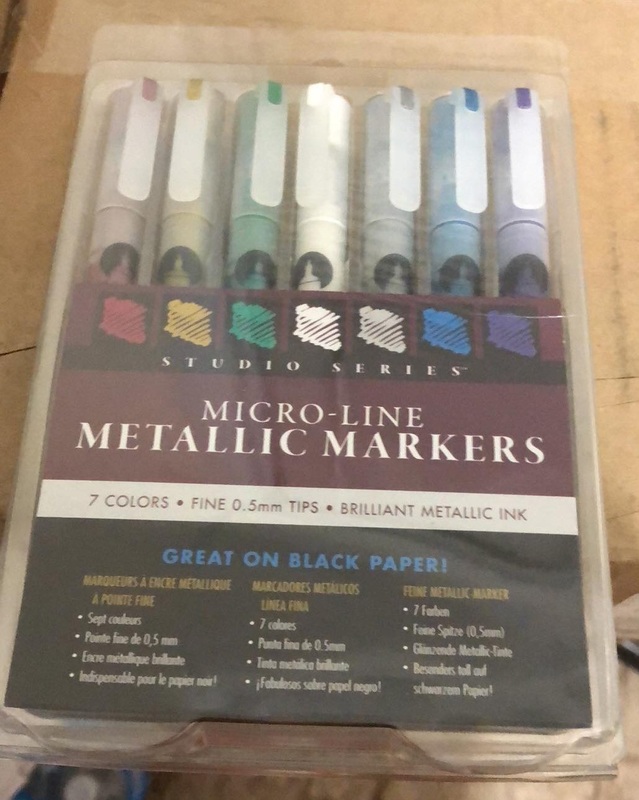 And finally we have the Studio Series Metallic Markers. You can color, draw and write on nearly any surface with these fine tip metallic markers. The metallic colors look awesome on a black surface. 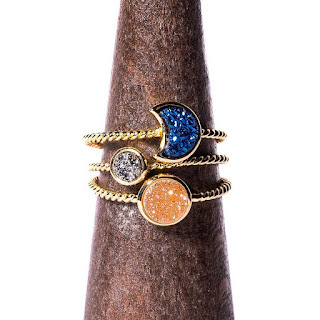 There are 7 beautiful colors in this set (blue, gold, green, purple, red, silver and white. The sturdy plastic market tips will keep their shape and won't wear down and go dull. They have a valve that ensures smooth and dense ink flow. Will write on plastic, glass, metal, paper and more. You can purchase these markers for $17.99 HERE.